Let’s just get it out of the way, stains are really annoying. They can cause smells, discoloring, and can attract bugs. Sometimes, it’s the best just to use your household stain removal product to get the stain out. And we won’t lie, they definitely can work. 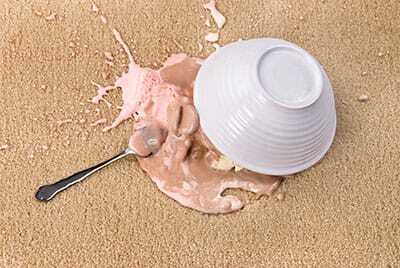 But for stains that penetrate deeper than just the first layer of your carpet, they won’t work quite as well. You see, over time, if a stain is not completely and one hundred percent removed from your carpet, there can be some issues. Some of these issues include a progressive discoloring, meaning that over time, the traffic over the stained area can cause the stain to reappear almost out of nowhere. The stain could also leave an odor which you may not smell since you are in your home so much, but guests may be able to smell it. Or perhaps you have an ant problem, which is very common. You may not know why they are invading you home, but you can certainly tell where they are going based on the trail. Nobody wants to deal with any of these issues, because they waste your time and are just annoying to have to work on. Cleaning stains should be easy, right? This is a very common misconception. If a stain gets into the deeper levels of your carpet or other fabrics, it can cause problems in the long run. So, if you feel like your carpet or fabrics are becoming plagued with stains, whether you have cleaned them fully or not, you may need to call the professionals in. 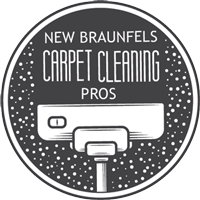 If you need your carpet stains to be fully cleaned out, give New Braunfels Carpet Cleaning Pros a call. We are fully equipped to get rid of those nasty stains and get your carpet looking fresh again. So, let’s discuss the different levels of stain. You have your normal stains which aren’t too color heavy and just need a decent scrub, you have your pet stains and richer colored stains, and finally you have red wine or soda stains, or any other corrosive stain that can cause actual damage to your carpet. When we assess the kind of stains we are dealing with in your home, we will know exactly how to deal with them. 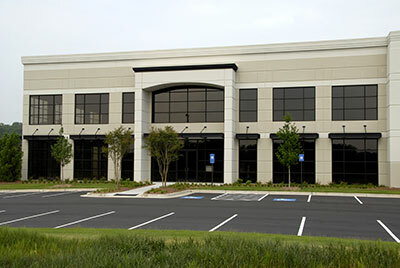 We are able to clean up virtually any stain that has happened on your carpet. While we do have varying methods for each types of stain, we love using our hot water extraction method. This method allows us to reach into the deeper levels of your fabric and clean it out fully. Plus, it also helps us keep the process safe and use as few chemicals as we can. And while we do use chemical products, they are always safe for you, your pets, and anyone with allergies. So, if your carpet stains are getting a bit out of hand, call the Pros and we can get the job done right at a reasonable price.